The capital city of Egypt, Cairo has experienced winter after more than a hundred years. 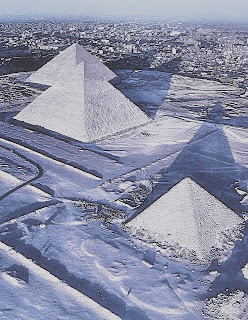 This historic storm happened in the Middle East‎ which has now been termed a big deal in Cairo on Friday and described as "a blanket of powdery, white snow"
‎Let's pray we experience our own snow, hmm... I wonder the region that will be the most affected?